It is no secret that although beauty standards today are getting a much needed makeover, being thin is still perceived as a desirable body type to many people. However unfair and misguided the beauty ideals are, Americans still spend millions of dollars every year on diet supplements, books on weight loss, and gym memberships. For many, shedding weight is the magical cure to a litany of ailments and a supposed beginning to a new life full of friends and happiness. While we can agree now that weight is no definite indicator of health, success, or aesthetic achievements, people from the early 20th century had their own theories about what could cure even the most aggressive illnesses. Food is an absolutely necessary part of survival. Every species requires it; plants require nutrient rich soil, sunlight, and water; bacteria feast on decaying organisms; humans need fats, proteins, and carbohydrates present in the plethora of vegetables and meats made available to us. Although fasting, the practice of abstaining from food, was common practice for rituals or religious ceremonies, it was not until the late 1800s that it was suggested as a practice to rid the body of deadly toxins. Hazzard at Wilderness Heights. Trail and Hitch. Doctor Henry S. Tanner fasted publicly for 40 days in New York City in 1880. Tanner was a proponent of what we would call today “alternative medicine”. His public fasting was intended to showcase the positive aspects of abstaining from food and defy modern medicine’s guidelines on healthy bodies. Tanner’s theories were not new, he simply presented them differently than his well known predecessors. The Greeks practiced fasting for purification. Jesus and yogis both upheld the belief that fasting was important for spiritual progress. Cotton Mather, a prolific player in the Salem Witch Trials believed fasting would rid Massachusetts of its witch epidemic. 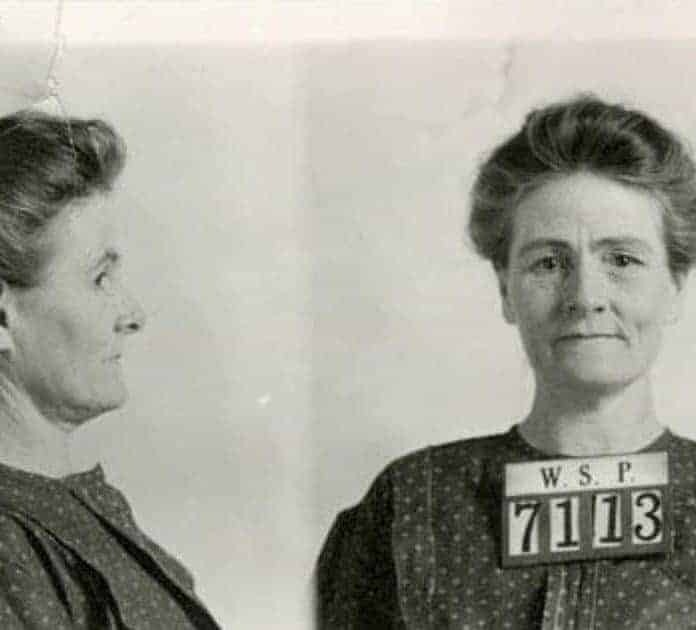 Linda Hazzard’s Washington State Penitentiary mugshot. Smithsonian. Perhaps the rich and involved history of fasting is what led Doctor Linda Hazzard to pursue a career capitalizing on an alternative medicine craze led by a desperate population in search of a miracle cure. Hazzard, whose last name is rather apropos given her actions, would turn a small, idyllic town in Washington state upside down in a legal case that shocked its citizens. In Olalla, a ferry’s ride across Puget Sound from Seattle, stood Wilderness Heights, owned by Linda Hazzard and her husband, Samuel Hazzard. The town was an otherwise forgetful place, but in the 1910s, Olalla’s notorious Starvation Heights, the local name for the facility, became the headlining centerpiece in many newspaper publications. Hazzard would soon be implicated in as many as a dozen deaths. All victims were patients of Hazzard who had willingly paid great sums of money to be treated by her and her revolutionary fasting cure.